This fantastic new book was published by Walker Books in October 2018. It will be enjoyed by existing Kevin Crossley-Holland fans as well as those new to his retellings. 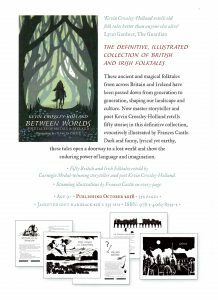 It is also now being published by Candlewick, New York, and a paperback edition will be available in the UK this autumn.